2661001 D80 FIAT-HITACHI D80 Buldozer Spare parts catalog. Operation and maintenance manual. Service/Repair manual. 2661002 D150L-GP FIAT-HITACHI D150L-GP Buldozer Spare parts catalog. Operation and maintenance manual. Service/Repair manual. 2661003 D150D-SD FIAT-HITACHI D150D-SD Buldozer Spare parts catalog. Operation and maintenance manual. Service/Repair manual. 2661004 DX145 FIAT-HITACHI DX145 Buldozer Spare parts catalog. Operation and maintenance manual. Service/Repair manual. 2661005 DX175 FIAT-HITACHI DX175 Buldozer Spare parts catalog. Operation and maintenance manual. Service/Repair manual. 2661006 DX195L FIAT-HITACHI DX195L Buldozer Spare parts catalog. Operation and maintenance manual. Service/Repair manual. 2661007 FD145 FIAT-HITACHI FD145 Buldozer Spare parts catalog. Operation and maintenance manual. Service/Repair manual. 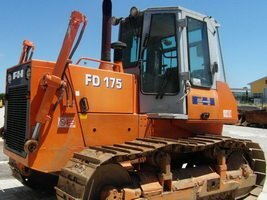 2661008 FD175 FIAT-HITACHI FD175 Buldozer Spare parts catalog. Operation and maintenance manual. Service/Repair manual. 2661009 FD255 FIAT-HITACHI FD255 Buldozer Spare parts catalog. Operation and maintenance manual. Service/Repair manual. 2661011 G80 FIAT-HITACHI G80 Grader Spare parts catalog. Operation and maintenance manual. Service/Repair manual. 2661012 G170 SERIES C FIAT-HITACHI G170 SERIES C Grader Spare parts catalog. Operation and maintenance manual. Service/Repair manual. 2661013 G200 SERIES C FIAT-HITACHI G200 SERIES C Grader Spare parts catalog. Operation and maintenance manual. Service/Repair manual.